Information about WAI subscription journals and magazines. 2. Archive Journal Listing (below) - journals held in our Archive collection - academic, continuing and discontinued journals - please see LRC staff for access. 3. Academic Tab (above) - provides access online to our academic peer-reviewed not for loan journals with full-text articles and/or abstracts, contents and bibliographies. 4. Subject tabs (above) - detailed information about each title. Browse tabs for appropriate titles. Information includes Dewey Number, holdings, e-journals, and content topics. 5. Links - in the Subject tabs above, there are links to online journals, articles and websites. 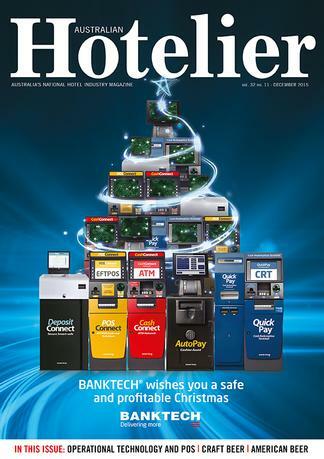 Monthly updates in the Monthly News section can be found below the cover photos. The news is updated every one to two months. The section provides up-to-date information about our journals and magazines. All the important current issues relating to our magazines. Latest arrivals, changes, publication details, formats and events are highlighted. Information for students and staff about the journals and magazines in the William Angliss Institute Learning Resource Centre. Included here are updates to new journals, changes to publications and information on online access to various resources. Nature & Health - publication has ceased in 2019. Epicure Asia - print edition published in Singapore monthly - specialising in Asian food and the hospitality sector in the Asian area. Also, writes about food globally including Australia. Travel and wine are important sections in this widely circulated magazine. There is a comprehensive website. Enjoy exploring this new magazine which is available in the cabinet. Bean Scene April 2019 Sustainable practices are discussed with the CEO of the Simonelli Group, Fabio Ceccarani. The Simonelli Group manufacture Italian expresso coffee machines are therefore, have a responsibility to make coffee in the fairest and most sustainable and respectful way possible. Other topics featured are roasting, growing coffee in Brazil and protecting natural habitats and the ideal water composition to bring out the flavour during espresso extraction. Condé Nast Traveler April 2019 The Experts Issue 2019 'Our editors pick of the best travel specialists in the world'.. Cuisine NZ March 2019 Issue 193 This edition looks at Indigenous ingredients - both from New Zealand and Australian, the archives of Cusine dig back into memories of former Cuisine contributor Peter Sinclair, and wrapping food in all types of leaves. Delicious April 2019 Issue 191 The children of Will Stubb, Australian Cheese specialist- Ellie and Sam are taking over the family business and will be writing articles for Delicious. Easter is an important event at this time of the year. 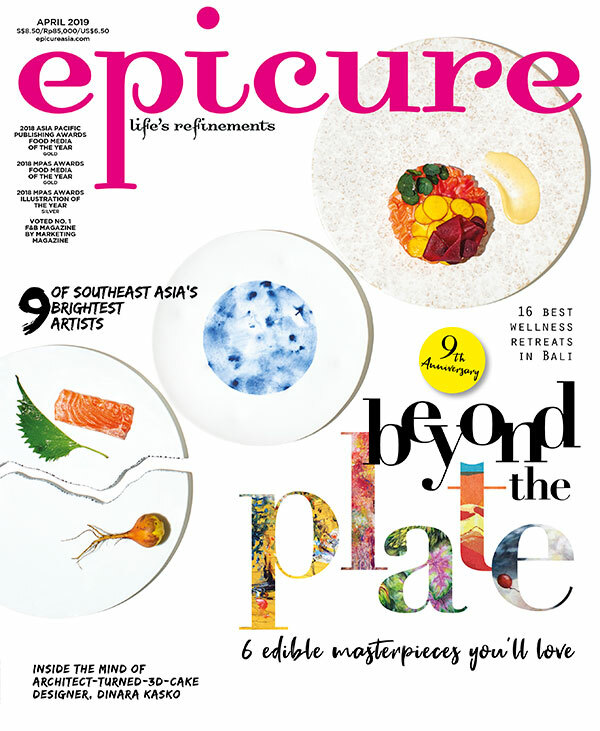 Epicure Asia March 2019 and April 2019 a new subscription for William Angliss. Published Monthly in Singapore the magazine looks at the area of Asian and Asian food. However, there is also a global focus with travel and wine being written about. Foodservice News magazine April 2019 The reverse of this magazine has a special section with a focus on food service NEXT generation front of house. The editor explains that they talked to some of the brightest young front-of-house sparks, from waiters to bartenders, managers and sommeliers. Good Weekend 6 April 2019 52 Dream Destinations - Looking at amazing destinations around the world for international luxury holidays from cities to the rural areas, environmental, foodies, snow, spa and relaxation destinations. Restaurant Business March 2019 US published 'How We got Here' This issue looks back at 100 years of history to today. Peter Romeo (Editor-at-Large) delved into cartons of musty vintage photos, minutes of meetings where everyone seemed to sport a handlebar mustache and crumbling back issues of 'The Soda Fountain (the original name of Restaurant Business) to understand the industry. The US National Restaurant Association was formed in 1919. These were his impressions - This is an industry of opportunity; Labour is the industry's birth curse; and the industries superpower is the willingness to collaborate. Read more detail in the magazine. The display changes on a regular basis about every 4 - 6 months. We focus on a particular subject area or issue. These journals are the current issue and you will find the older issues on the shelves under their Dewey number. The focus at the moment is Food, Hospitality and Ingredients. Healthy food, and vegetables as well as the hospitality industry. There is a new tab that gives you information on Blogs, Websites, Podcasts, Apps and e-journals that relate to our areas of study. Hopsitality & Tourism Administration Intern. J.